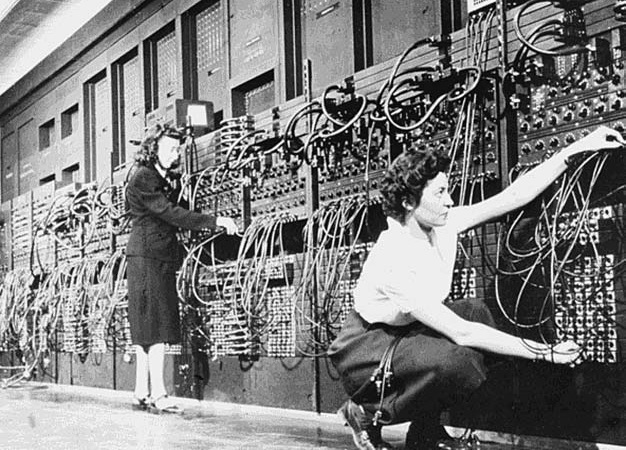 The first computer programmer was a woman; Ada Lovelace. She founded modern computer languages, and thus, helped to create the modern age Internet. Technology has been apart of the world for as long as history has existed in one form or another. The advance of the digital age, however, truly only began to become the massive boom that it is in the early 1980’s up until now. For Webtron, our business would simply not exist in its current form without the aid of this incredibly powerful tool. The evolution of both technology and the internet is a story that extends much longer than people think. While the history of computers extends back as far as the early BC era, the internet’s history is relatively small in comparison. We begin, however, with the creation of electronic computers in the 1950’s. “Yes, we see the L,” came the response. Gromov, Gregory (1995). “Roads and Crossroads of Internet History”. From then onwards, technology only began to grow. A process called ‘packet switching’ was created in the same year, but it didn’t become globally accepted until sometime in the 1970’s when a laboratory in the UK used it all throughout their complex. By 1976, 12 computers and 75 terminal devices were attached to the network. By the mid-1970’s, many different forms of computer networks had become to arise from all parts of the world as packet switching technology began to become widely available to labs and government facilities. However, there was nothing that was unified. Two groups came together to try and work on a solution, in which the Internet Protocol Suite (ISP) was developed. This is something that is still in use today. The resulting protocol, RFC 675 – Specification of Internet Transmission Control Program, by Vinton Cerf, Yogen Dalal and Carl Sunshine, Network Working Group, December 1974, contains the first attested use of the term internet, as a shorthand for ‘internetworking’; later RFCs repeat this use, so the word started out as an adjective rather than the noun it is today. Because the ISP could be used on any network system, this solved the problem and united all networks no matter what they were. Because of this, it was funded to be developed and released. And released it was! The years passed, and eventually, in 1989, TCP/IP – the software behind the internet, went global. All continents over the next few years began the installation and operation of TCP/IP across the world. During the late 1980s, the first Internet service provider (ISP) companies were formed. Companies like PSINet, UUNET, Netcom, and Portal Software were formed to provide service to the regional research networks and provide alternate network access, UUCP-based email and Usenet News to the public. The first commercial dialup ISP in the United States was The World, which opened in 1989. By then, households began to have computers within their homes, and businesses were beginning to add computers to their companies. The internet was soon opened up to the world, and from then, it has only exploded in strength from barely 100 users to billions. A 24 hour cycle of the internet being used worldwide. Red being highest, and dark blue lowest use. From what started as a humble networking system continues to evolve. Hundreds of devices now rely on the internet to work. And communication to the other sides of the world has become as easy as a click of a button. People can communicate in a way that was not possible a mere 20 years ago. This is to the point that now, we can do things we never thought were possible. Buying items online, talking to people on the other side of the world (for free, no less) to even what Webtron came to be built upon (selling a house online) that we can be forever thankful for the minds of those who wanted to unite the network, who then united the world.